Google has introduced a skilling program for Android developers in India, which is aimed at training close to two million developers in various Android skills such as End-to-end Android training and Associate Android Developer Certification. The launch of the Android Skilling Program in India was announced just recently on the Google India blog, where it was stated that the program is in support of the recently established Skill India initiative of the Indian government, where private and public authority companies and establishments are encouraged to train India's citizens in their respective niches. 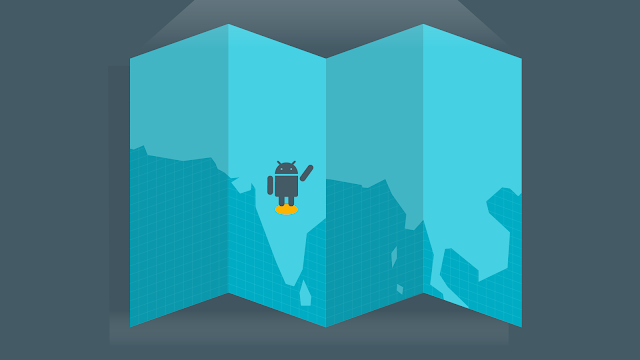 "Last year, together with Udacity, we introduced the Android Nanodegree program in India. Today we are seeing over 11,500 students across India enrolling every month. And only two weeks ago, we launched the Android Basics Nanodegree with Udacity so that we have an end to end path—from zero to hero—for Android Development without having to send all of our students to many different places to learn the prerequisites. Today we are announcing The Android Developer Fundamentals course, a specially-designed instructor-led training program that will be made available across public and private universities and training institutes of the National Skill Development Corporation of India. This in-person training will be integrated with Computer Science curricula of universities within this calendar year. The Android Developer Fundamentals course material will also be covered on NPTEL (an IIT Madras project in collaboration with the IITs and IISc) as part of its online Mobile Computing course starting July 18, 2016. The Android Developer Fundamentals reference course and all practicals and courseware will be available as Open Source to everyone for free. All details of the program and courses can be found here." "In addition to partnering with the National Skill Development Corporation of India, we have teamed up with training partners like Edureka, Koenig, Manipal Global, Simplilearn, Udacity and UpGrad who will operate as Authorized Android Training Partners in India. We are working closely with them to train their trainers and to update their Android courseware to prepare their students for the Android Certification and a career in Android development." "To support potential Android developer employers, we are also launching a globally-recognised, job-oriented, Associate Android Developer Certification—a performance-based exam, that will help candidates obtain entry-level Android Developer jobs in the Industry." If you're a developer in India and you are interested in the Android Skilling program, log on to the Google Training Certification website and take the certification exam. However, you'll have to part with 6,500 INR (Indian Rupees) before you can take the exam. We are looking forward to when Google would launch a similar initiative to the Android Skilling program in African countries.